Feminism is a problematic word: to some it means the ongoing struggle for the equal rights of women; for others the connotations are derogatory, the word conjuring images of emasculating woman. And for still others, mostly the younger generation who grew up with mothers in the workforce, the term is outdated, referring to a movement whose relevance is diminishing. Postfeminism, antifeminism, the feminist backlash--these terms are wielded with little understanding of the context in which the feminist movement was born. 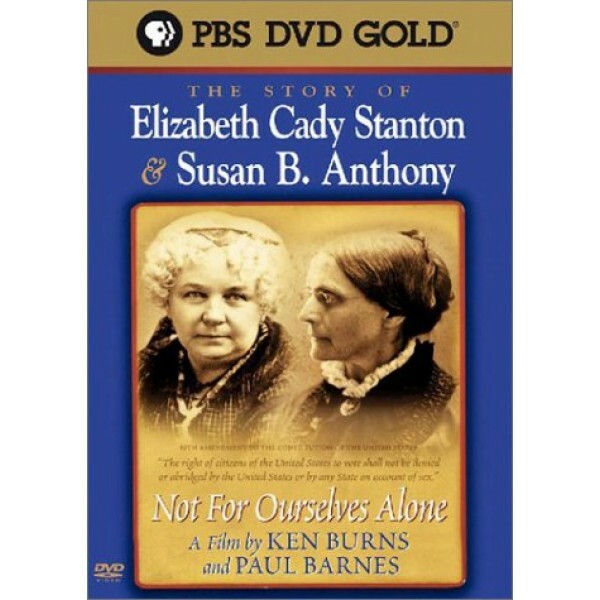 Luckily, Ken Burns and Paul Barnes have created this superb documentary, Not for Ourselves Alone: The Story of Elizabeth Cady Stanton and Susan B. Anthony, to remind us of the roots of the women's movement and to show just how far we have come in such a short period of time. In the 19th century, Susan B. Anthony had few choices for her life: to live with a husband as "a doll or a drudge" (marry a poor man, she explains, and you spend your life doing housework as a drudge; marry a rich man, and you spend your life prettying yourself up and looking like a doll), to work as a schoolteacher, or to live with her family as an "old maid." And while she chose the life of the spinster to retain her independence, she didn't resign herself to a life of leisure. Born into a Quaker family devoted to abolition, Anthony championed the reform movement and dedicated herself to the suffragette life. 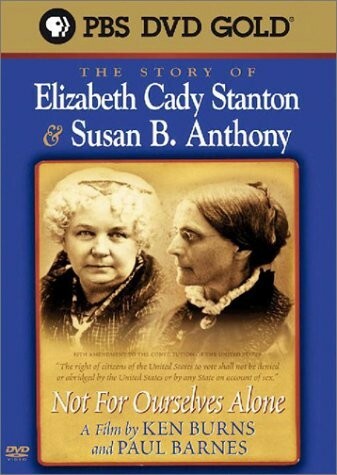 In contrast, Elizabeth Cady Stanton married and had many children, yet this did not stop her from seeking the vote for women.